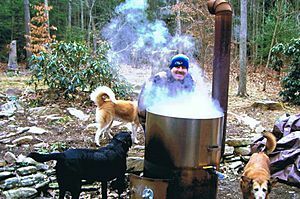 Maple syrup being boiled in an outdoor boiling kettle. Photo courtesy of Betsy Thigpen. Early warming in March cut the maple syrup season in New Hampshire short. Ideally, a very cold winter will put the maple trees into a dormant state. During this time, the sap is stored until the spring when it will flow from the roots of the tree to carry water and nutrients to the rest of the tree. When winter begins to change to spring, maple syrup producers look for nights below freezing and days with temperatures between 38 and 44 degrees, according to Chris Pfeil, owner of The Maple Guys in Lyndeborough, N.H. When the tree warms above freezing, pressure builds up and causes the sap to flow out of the tree through tap holes. The maple producers collect the sap in a bucket. Once they collect enough, they either boil or evaporate the sap to remove the water, leaving the sugar. What remains is the maple syrup, according to maple.dnr.cornell.edu. At night, when the temperature goes below freezing, some of the sap in the tree freezes. This process helps to create suction in the tree. The suction causes water to be drawn up from the roots. The water helps to replenish the sap. When the temperatures begin to stay above freezing, the tree sap stops flowing. The maple syrup season usually runs from mid-February until mid-April. In this part of the country, the month of March was actually quite a bit colder than normal with periods of snow! Interesting how the weather also effects the production of sap. Anyway, the weather this week looks pretty cloudy with periods of showers, although sunbreaks are in order from time to time. 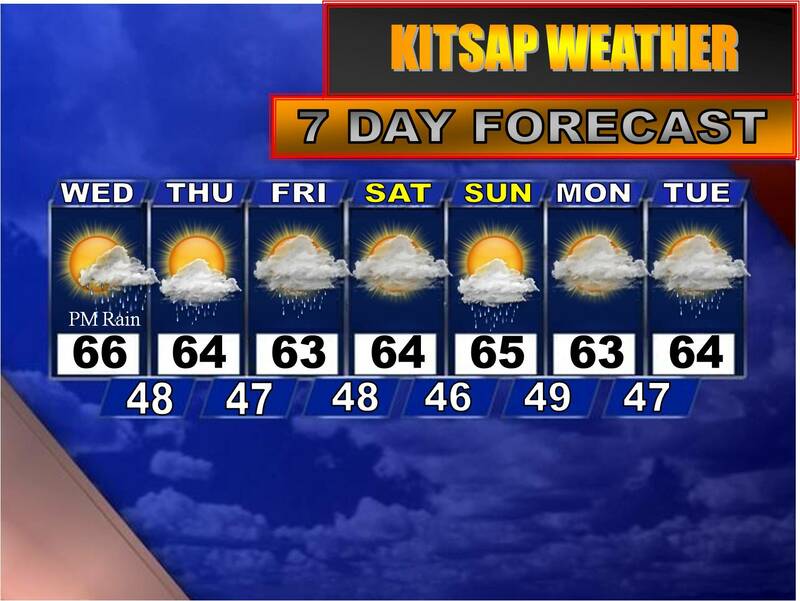 Tomorrow clouds will increase ahead of a wet weather system pegged to move through the area later in the afternoon. Highs will have time to warm to the mid 60s, but because of the cloud cover, it will stunt the temperatures from getting much beyond that. The weekend looks average with clouds, showers and highs in the 60s.